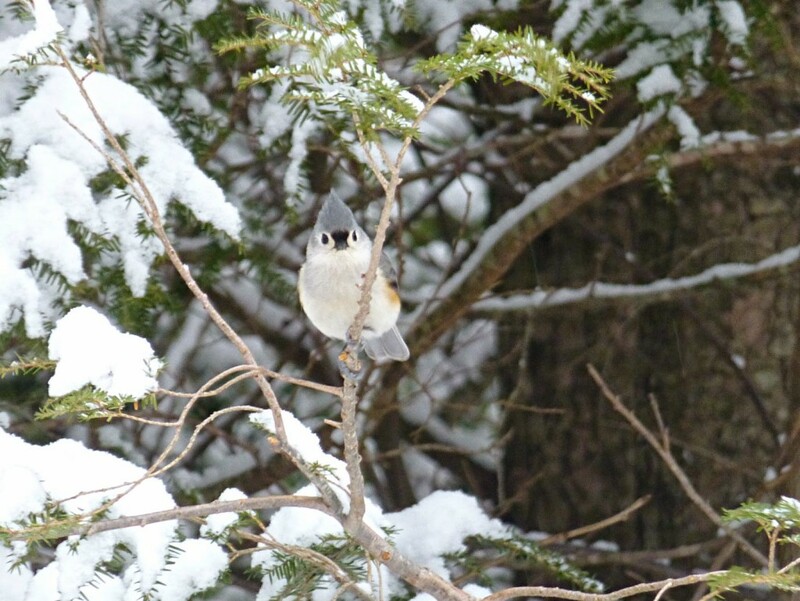 A lot of our guests and friends of the Inn who live in the northeastern U.S. and also in the midwest are no doubt ready for Spring. It’s understandable, what with Boston getting more than 100(!) 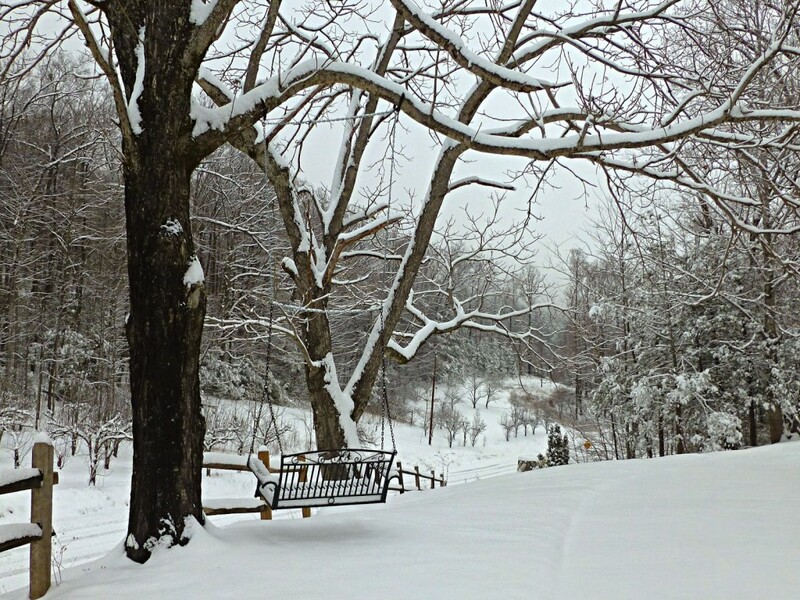 inches of snow this 2015 winter season and other areas seeing plenty of the white stuff to last through the rest of winter. 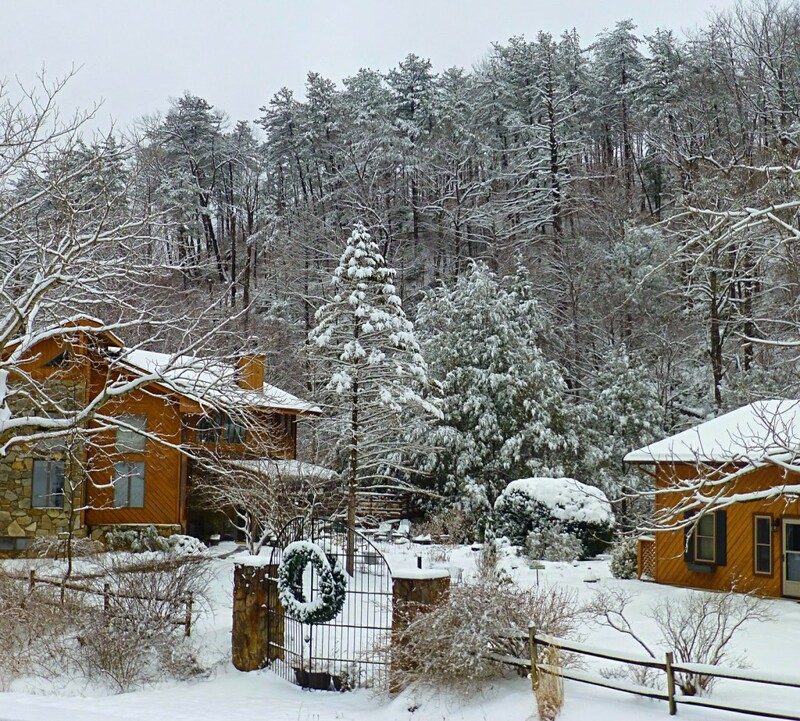 However, here inside Pisgah National Forest east of Asheville and Black Mountain, NC (elevation 2,300 feet), we had had yet to see an actual winter as of mid-February at the Inn on Mill Creek B&B, even saying so in our winter newsletter. Well, we spoke too soon! 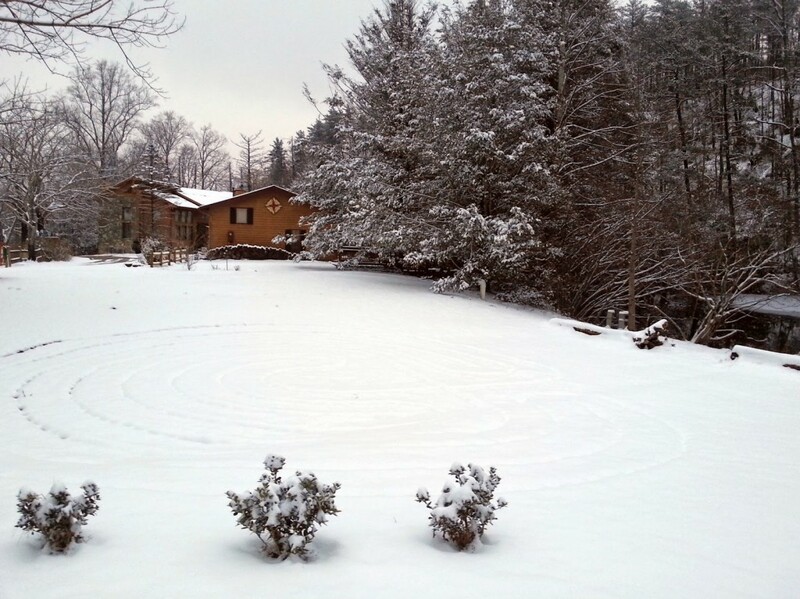 Mother Nature is clearly not quite ready for Spring as we [finally] got our first snow. And second snow two days later. Our snow day on February 23 has turned into a snow week. We are loving it!! 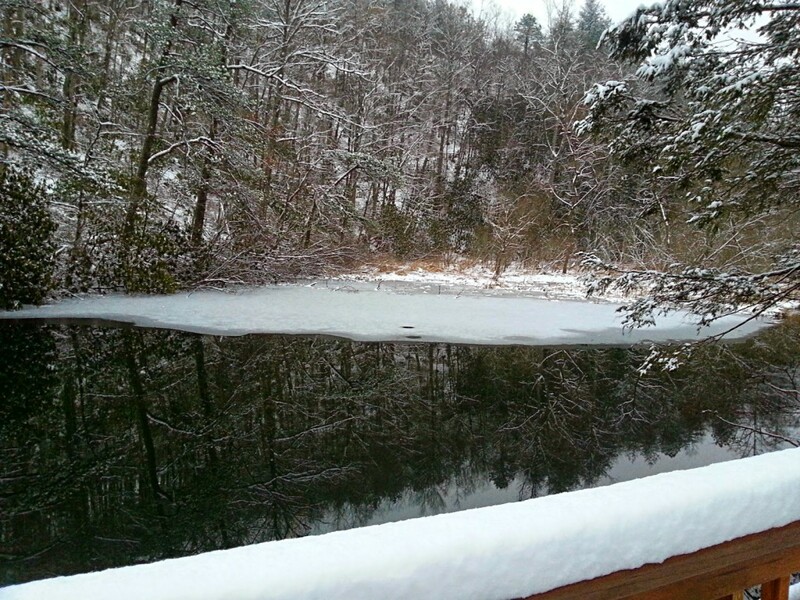 Whenever it snows here at the Inn on Mill Creek B&B, it’s extremely peaceful and very calm. Very still. Just pure white with evergreen rhododendron and the warm gray tones of bare tree branches. And then the birds come out and serenade us in the early afternoon. Just so lovely. Our road through Pisgah National Forest is a North Carolina State Route, and therefore gets plowed. But sometimes not for a day or so. That said, for the few snow days that we have each year, we recommend that visitors choose lodging closer to the interstate if they are on a strict schedule and/or they don’t have 4-wheel drive. Even though it’s quiet at the Inn, we don’t want to keep all this loveliness to ourselves, so please enjoy the following photos before the snow quickly melts away. 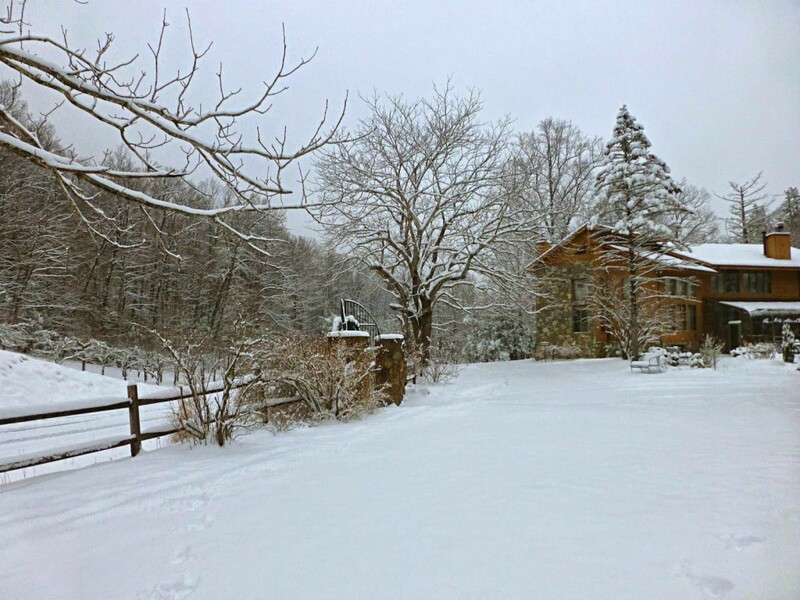 This time next month, we’ll be sharing bright yellow daffodils, but right now, it’s beautiful, beautiful winter white. See the walking labyrinth outline? 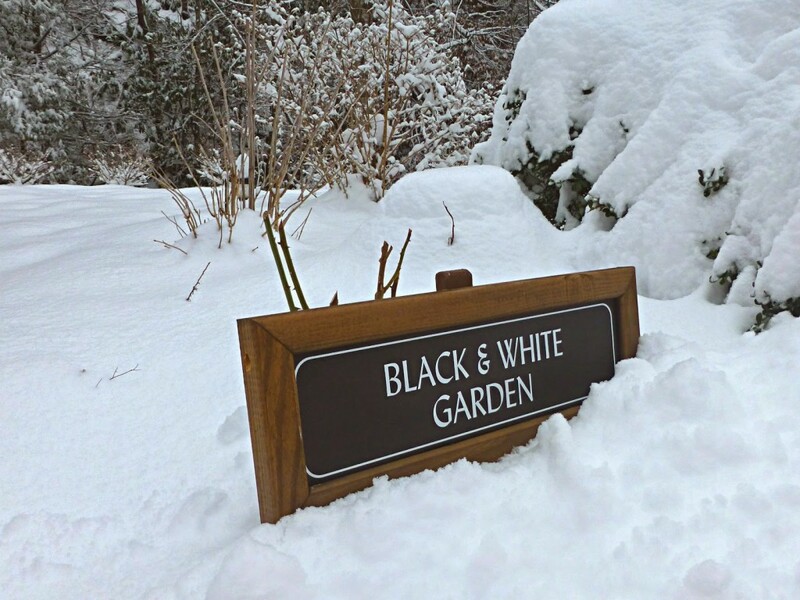 Black & White Garden is mostly white right now! 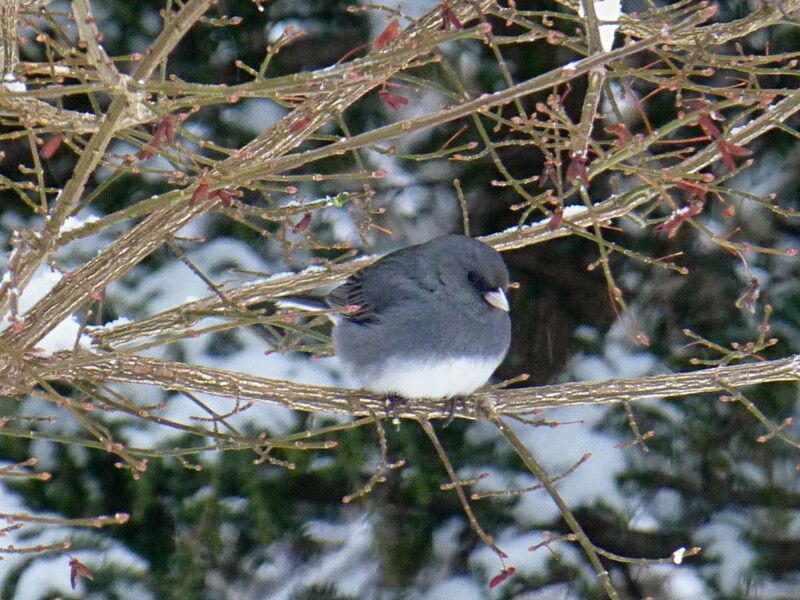 This entry was posted in Winter Scenes and tagged Old Fort, Winter by Inn on Mill Creek. Bookmark the permalink.